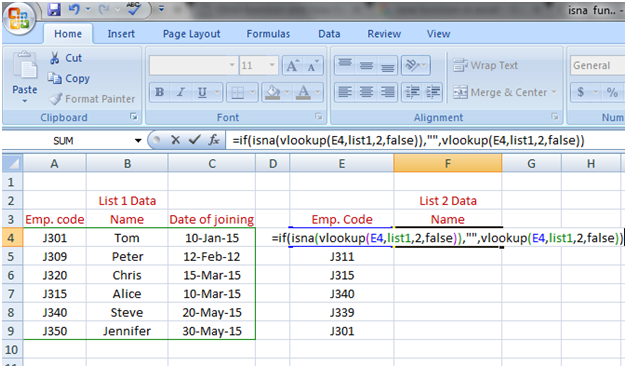 First part: =if(isna(vlookup(E4,list1,2,false)), It means if the function don't find the value of cell E4 in List1 then display second part. 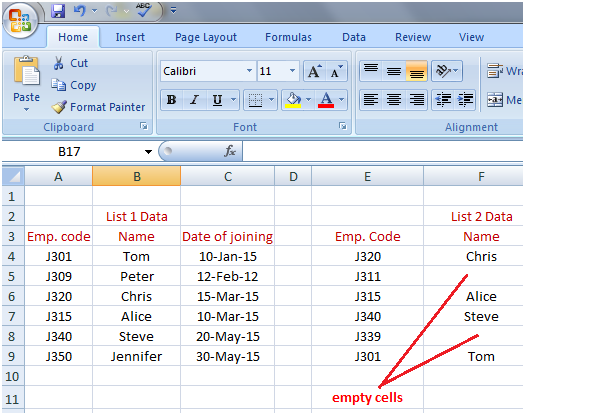 Second part: "", It means leave the cell blank. You can write text between quotation marks that you want to display instead of a blank cell.